British Food Fortnight, the annual celebration of the incredible food we have here in the UK, this year falls between 22nd September and 7th October. Joining in is easy, it’s as simple as eating British food – and it just so happens that we have plenty on offer at Lakeside. Grasmere dry cured back bacon, Grasmere sausages, free range egg, Heinz baked beans, mushroom, slow roasted tomatoes and toasted buttered Hambleton tin loaf. Did You Know? While the ingredients of a full English are pretty familiar, there are a few regional variations that might surprise you. In Cornwall, you’re likely to find hog’s pudding on your plate, while in Ulster the full English includes potato bread and soda farls. A Welsh variant contains laverbread and cockles, and in Scotland tattie scones and Lorne sausage are common place. Beer battered catch of the day with chips, mushy peas and tartar sauce. Did You Know? 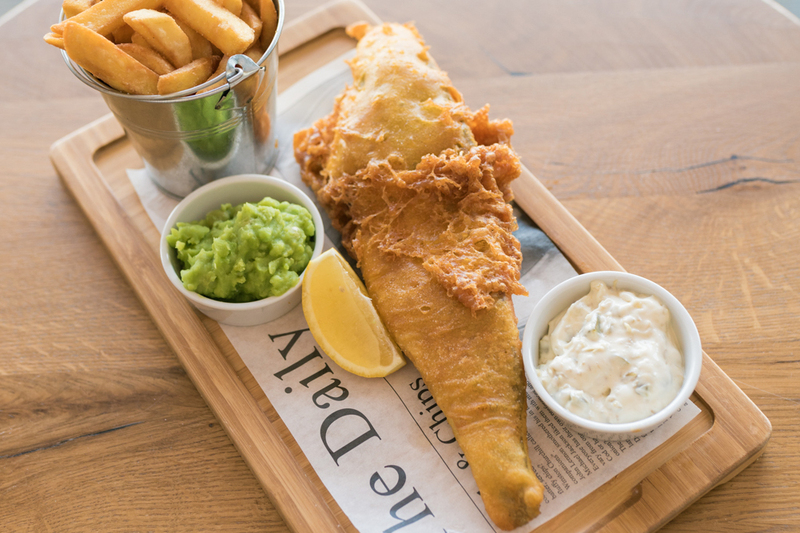 Fish and chips were first served together as a dish in around 1860 – although the exact origin of this amazing combination is contested. In London, the Malin family claimed to be the first to put the two together, as did the Lee family in Manchester. What the two feuding houses surely must agree on however, is that the dish is extremely popular, with more that 250 million fish and chip meals sold each year in the UK. 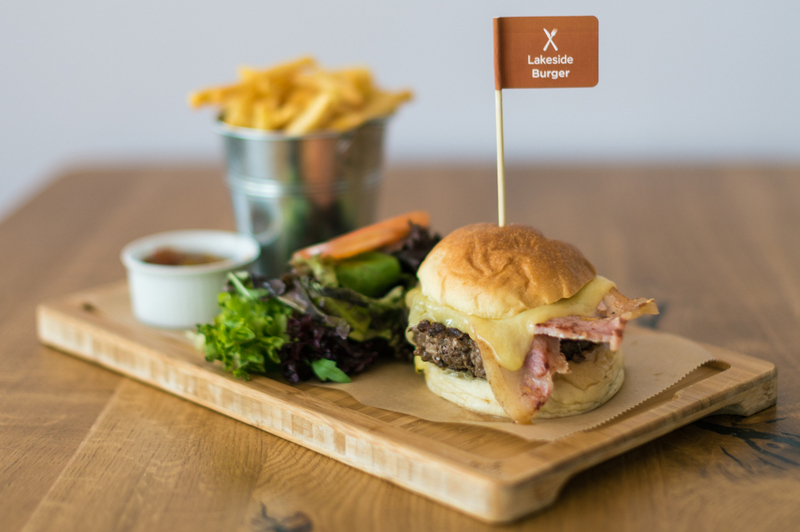 Hand pressed homemade 6oz Lincolnshire beef burger, served with mixed leaf salad and chips. Did You Know? The burger was invented some time during the 19th century by German immigrants in the US. However, while the burger may not have originated from the UK, it has become a staple of the British menu. What’s more our Lakeside burger uses locally sourced meat. Served on Hambleton tin loaf with vegetable crisps. Did You Know? This extremely popular snack is named after John Montagu (1718-92) the 4th Earl of Sandwich. The nobleman is said to have been quite the gambler, so wanted a meal that wouldn’t distract him unduly from the gaming table. His astute chef presented him with a slice of meat between two pieces of toast. The snack could be eaten with one hand and required no cutlery, leaving the Earl free to play on. We source all of our food as locally as possible, including meat from Market Deeping butchers Grasmere, and bread from Oakham based Hambleton Bakery. We use dairy products from Peterborough Dairy and drinking water from Cambridgeshire Water. Watergull Apple Juice, meanwhile, is an East Anglian company that provides us with our delicious apple juice. So in reality, whatever you choose to eat or drink at Lakeside or Ferry Meadows Café, you’ll be celebrating British Food Fortnight! Click here to find out more about British Food Fortnight, or click on the following link to see our full menu. Previous post What’s On at Nene Park in September?